George Underwood speaks to R&D veteran Dr Paul-Peter Tak about how the drug discovery model needs to change. Dr Paul-Peter Tak’s 25-year career in life sciences has taken him from academia to biotechs to GlaxoSmithKline (GSK) and now back to the ground-level as a venture partner helping to develop new companies at Flagship Pioneering. Having gained deep insights into the good and bad sides of pharma’s current R&D models, Tak’s return to smaller ventures reflects his belief that biotech will increasingly drive the discovery of new medicines. After spending seven years at GSK, latterly as senior vice president of the company’s R&D pipeline, development leader and chief immunology officer, Tak thought he could try something different again at Flagship Pioneering, which conceives, creates, resources and grows first-in-category life sciences companies. Tak has long been interested in new models of drug discovery like this, and strongly believes the drug discovery model needs re-thinking to decrease attrition in the face of unsustainable costs. To achieve this, he feels more strategically aligned biotech companies should be created to work with the best academics, use the rigour of decision making of venture capitalists, and have access to the platforms and experience with late stage development of big pharma. He adds: “In late stage development, it’s critical to optimise process, to reduce white space and follow approved pathways. 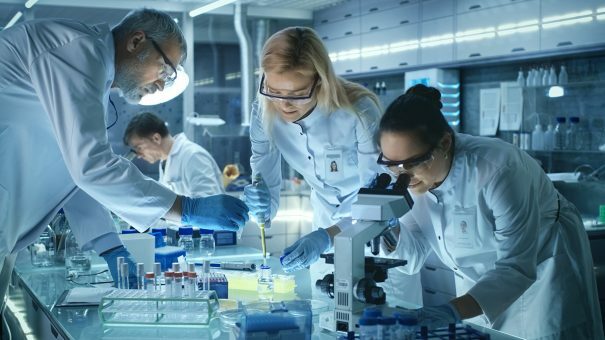 In discovery it should be about doing the best scientific experiment possible for this specific target, being creative and agile responding to the data, and rigorous and flexible decision making. Even before Flagship, Tak was already pioneering this approach in GSK with the creation of the company’s Immunology Network. The Network embeds academic researchers into GSK’s labs to stimulate scientific debate, inspire new science and foster collaborations between GSK’s R&D immunology groups and the wider scientific community. “There are several new ideas that would not have originated without bringing these incredibly smart people in and giving them freedom to work on what they want to work on,” he says. “It’s important to not only focus on the right science but also work with the best people both internally and externally. “In drug discovery you need a certain element of organised chaos. You need to give people the freedom to get answers that address new hypotheses they’re testing and let them go in directions where they could discover something transformational. I’m a big supporter of scientific debate and challenge during this stage of discovery. There are, of course, also technical factors that can increase the probability of success when developing medicines. Tak notes that although animal models are critical for mechanistic understanding and for safety studies, the predictive value of clinical efficacy in human patients is limited in many conditions. He believes that the solutions lie more in collecting strong evidence based on human biology early on: for example with genetics, genomics, in vitro and ex vivo human biology experiments, and experimental medicine. “You need to be really good at selecting the best therapeutic targets,” Tak explains. “We know for example that if you have human genetic validation that you can double the probability of success, so that certainly helps, but it’s often not enough. Taking a 3% probability of success to 6% is an enormous step up but it also means there’s still 94% uncertainty. We also need to use optimal in vitro human biology models, ex vivo models and humanised animal models and organoids where appropriate. At the same time Tak is keen to emphasise that this is not about overcomplicating things. After selecting a strong scientific target, and validating and optimising the molecule, Tak likes to apply what he calls the BOT – the ‘Bloody Obvious Test’ for decision making at this stage. “You need to look at it unhindered and just see if all the trends are going the right way,” he explains. “This is basically just testing whether this molecule is doing what it’s supposed to. Does it hit the right pathway? Does it translate into changes in the common final pathways downstream of the target that are known to be associated with clinical improvement? Are there already trends towards clinical improvement? “If you hit the pathway effectively but otherwise it’s all negative then you know you don’t have a medicine and you should stop it and put your effort into something else. Over a more than 25-year career in the life sciences, Paul-Peter Tak has been a professor of medicine, and created and led multiple companies. He co-founded Arthrogen (Amsterdam, Netherlands) in 2005, where he was chief scientific officer until 2011. He was CEO and board member of Tempero Pharmaceuticals (Cambridge, MA) from 2012 until 2015, at which point he facilitated the company’s acquisition by GSK. 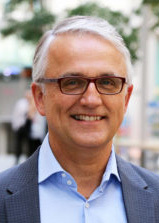 From 2011 until 2018, Paul-Peter served as senior vice president and global head of R&D for immuno-inflammation, infectious disease and oncology at GSK. Under his leadership, the immune-inflammation unit brought more than 10 new mechanisms of action into the clinic and filed Benlysta s.c., which has been approved for the treatment of SLE. He also oversaw the creation of a new portfolio of medicines in oncology, with a focus on immuno-oncology, cell and gene therapy and epigenetics. Paul-Peter was also chief immunology officer, development leader, and co-chair of GSK’s scientific review board. In 2018 he co-founded Sitryx Therapeutics (Oxford, UK) before he joined Flagship Pioneering.